In case you aint heard, my very favorite Poemer, Luke Johnson, is publishing his first book of poems next Spring! You may know him from being included in the Best New Poets anthology. Twice. September 13, 2010. 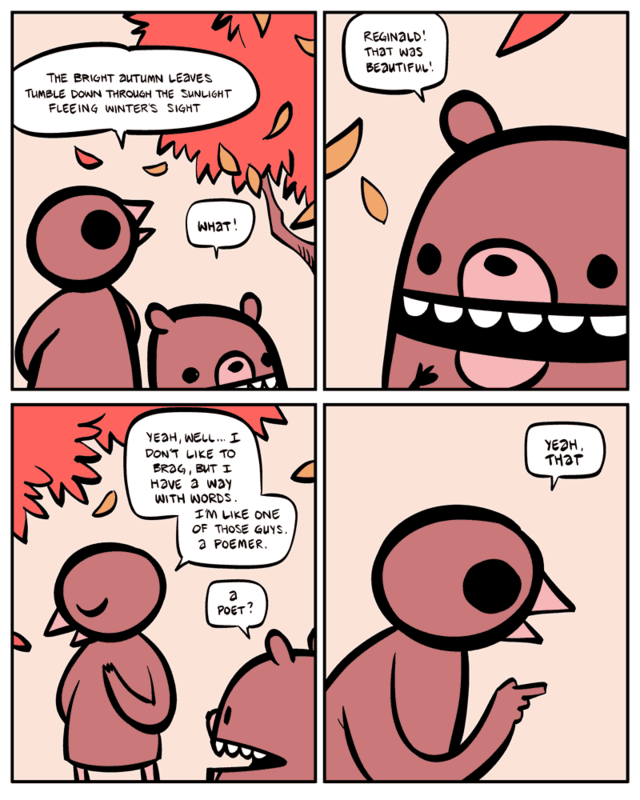 Tags: Animals, Art, Beartato, Fall, Funny, Humor, Jokes, Luke Johnson, Nedroid, Poetry, Reginald, Weather. Comics. 1 comment.